Landing Manager Carl Schmidt called in this evening with an audio update from Fisherman’s Landing in San Diego, CA.. The Liberty checked in after it’s trip to Coronado Islands the 21 anglers caught 105 Yellowtail (limits). The majority of the fish were caught on the Yo-Yo jig. However, there were some Yellows caught on Live Bait and on Surface Iron. 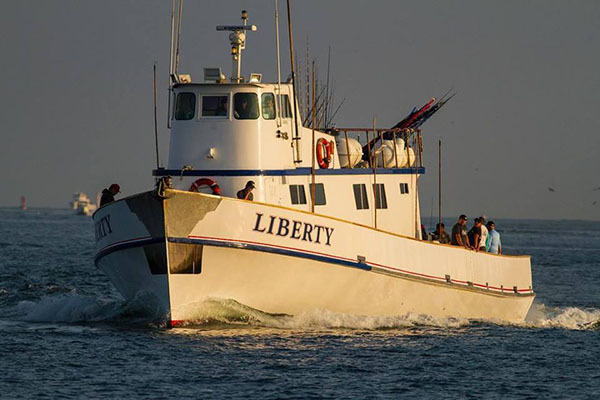 The Liberty is a definite go with 20 spots left for tomorrow’s trip; We have plenty of room and are a definite go on Sunday and Monday. The Dolphin on it’s AM trip had 23 anglers catch 40 Rockfish. The Dolphin on it’s PM trip had 25 anglers catch 2 Sand Bass, 1 Sheephead, 82 Rockfish and 22 Sculpin. The Dolphin and Liberty are ONLINE. The Shogun departed today on a 3 day trip. They are heading out to try for the Bluefin this weekend. We are hoping to get the season going. Call (619) 221-8500 or BOOK ONLINE.